Show-stopping orange ricotta cake, made just a bit lighter with part-skim ricotta and olive oil. Ricotta’s texture and its mild and sweet flavor have made it a top choice in Italian cakes and desserts. And one of my absolute favorites happens to be torta di ricotta, a gorgeous tart made by filling pasta Frolla (Italian short dough) with a rich ricotta filling with lots of lemon zest. It’s popular particularly around the holidays. And…deliciously sinful! 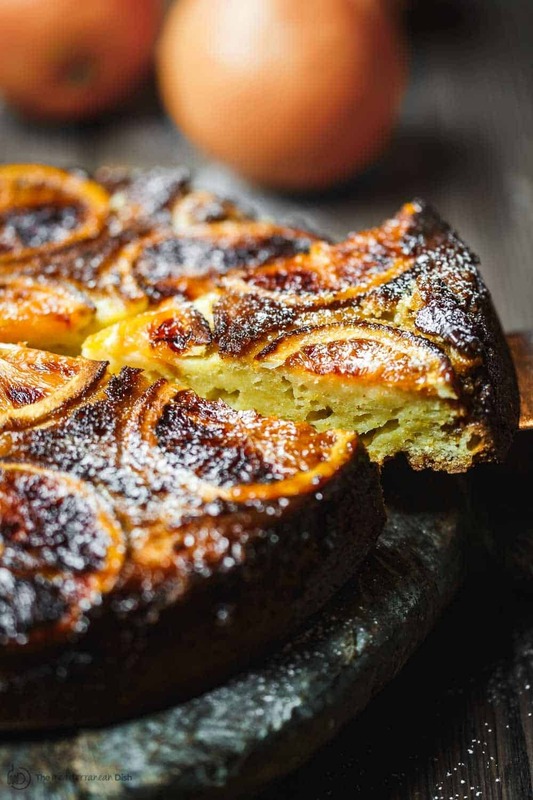 I have yet to make my own tortat di ricotta…thought I would start with something like this orange ricotta cake. 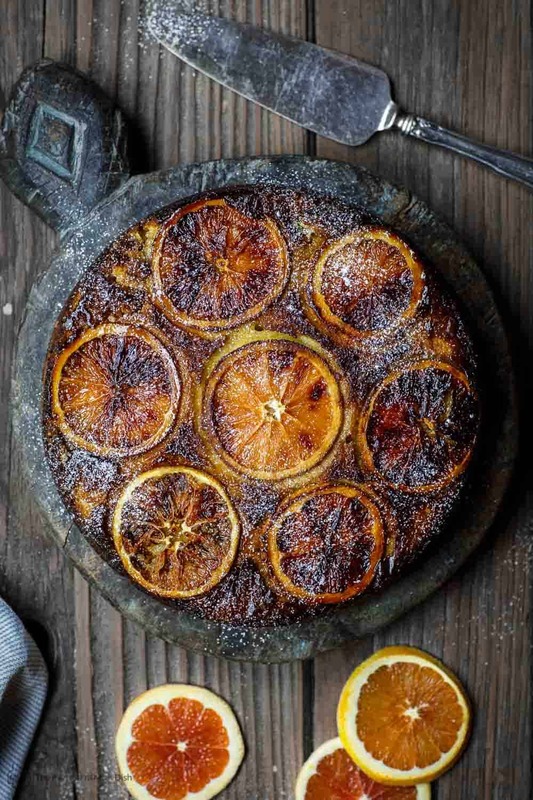 Think upside down orange cake with a beautiful, crusty caramel-like topping. 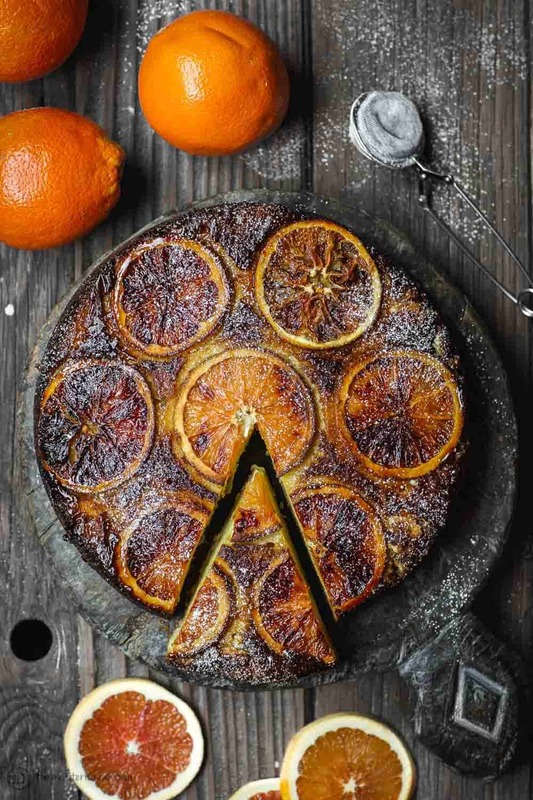 There is just the right amount of texture and flavor in this festive orange ricotta cake. And it’s easy enough for a non-baker like myself to make. 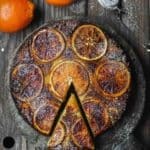 I used what are called pink navel oranges here in this ricotta cake; they are sweeter and add color. You can also use blood oranges or any oranges you find. One neat trick (I learned this from a friend who is a master baker), zest the lemons directly in a bowl with your sugar, this allows maximum flavor release! I’ve been having fun “lightening up” cakes, so again I used part-skim ricotta and olive oil in place of butter. However, if you want a richer ricotta cake, I’ve included substitutions in the recipe notes. Show-stopping orange Ricotta Cake, made just a bit lighter with less sugar, part-skim ricotta and olive oil. Preheat oven to 325 degrees F. Butter a 9-inch baking pan very well (on bottom and both sides generously). Line bottom with round of parchment paper. Stir brown sugar and water together to make a thick, pasty slurry, then spread it very thinly and evenly across the bottom of the pan (I used the back of a spoon and kept smoothing the slurry over until it was nice and even). Arrange the orange slices on top of the brown sugar coating in bottom of the cake pan. In a large mixing bowl, whisk the ricotta, olive oil and vanilla. Add one egg at a time and whisk to combine. Scoop batter into the prepared cake pan. Gently shake to spread evenly. Cool in the pan for 5 minutes or so. Run a thin knife around the corners to loosen the cake, then carefully invert onto serving plate. (Some of the orange slices at the bottom may get stuck in the pan, gently pull them up and arrange them on the cake if needed. But this is why a well-greased pan is important). Let cool completely, then cut into slices. Serve as is, or add a dollop of creme fraiche or your favorite ice-cream. Enjoy! Substitutions This is a lighter orange ricotta cake. However, if you prefer, you can use whole-fat ricotta instead of part-skim. And in place of olive oil here, you can use 1 stick of butter (8 tbsp) melted and cooled. Recommended for this Recipe our Private Reserve Greek extra virgin olive oil (from organically grown and processed Koroneiki olives. SAVE! 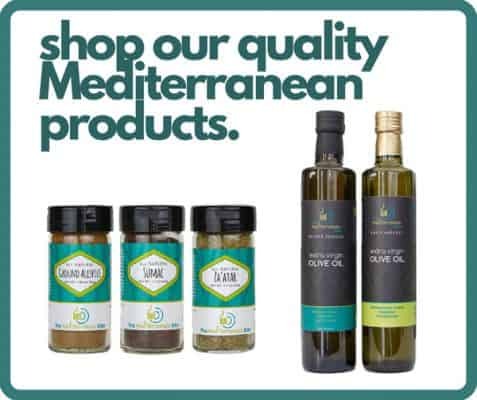 Try our Olive Oil Bundle! This cake is so delicious!! 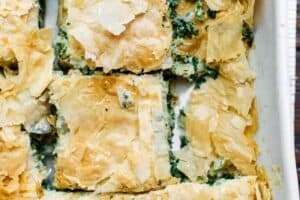 It is so moist and the flavor is oh my goodness so good and this is the lighter version! I would not change a thing. I made this cake once already and just made another one for a Super Bowl party we are going to this afternoon. Thank you so much for all your recipes. My husband and I LOVE them all! Mary, I am so glad you enjoyed it! thank you for sharing. Just made this today…. delicious! If I butter the bottom and the sides of the baking pan, why I need to line the bottom with round parchment paper ? Fahmy, with this particular cake, the lining helps as the oranges on top can still get sticky even with the butter. The pink navels are more commonly marked as Cara Cara navels at groceries and the like. Made this tonight with the olive oil and full fat ricotta. Only problem I had was spreading the brown sugar slurry. It stuck to the spoon, stuck to my fingers, stuck to the flat bottomed glass I ultimately resorted to. 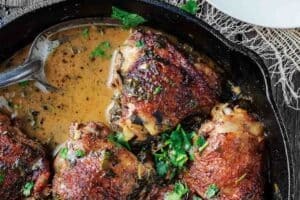 How do you get it to spread across the pan? I finally gave up but it sort of spread on its own in baking. Maybe I need to double it? This part could be challenging. But I simply used the back of a spoon and continued to spread the sugar across…it eventually spread out into a very thin layer. It just takes a little patience working with it. Question: are you using a 9 inch round baking pan like a layer cake pan? Or is it deeper? Thank you for your speedy answer, and on a holiday, too! Happy New Year! 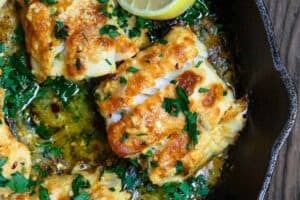 Yes, it can be made with lemon instead. If you have access to Meyer lemons, which are sweeter, that would be best. 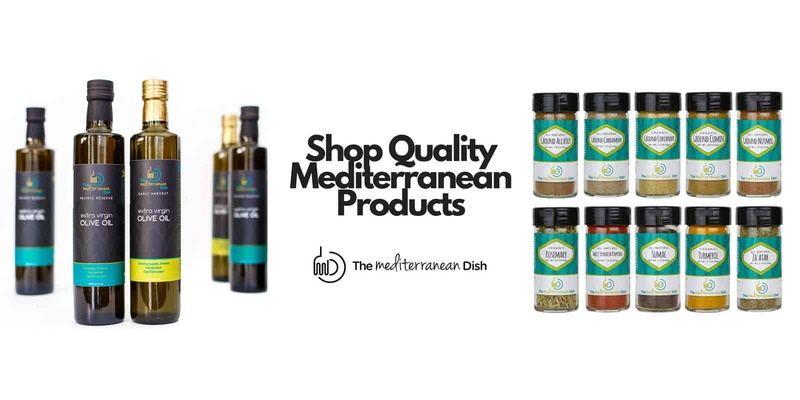 Looking forward to making this with the olive oil duo I ordered from your site. That’s my Christmas gift to myself. Thank you for offering it to your readers. Merry Christmas to you & your family! Gorgeous! 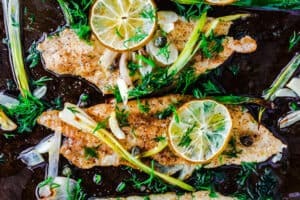 Love to see new recipes that I want to make. 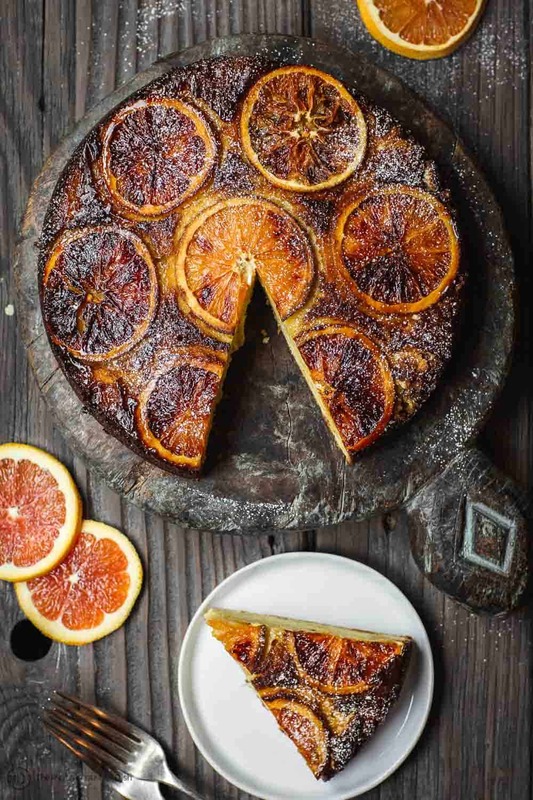 This is stunning, I adore citrus cakes, and I love how you’ve lightened this one up! You got some fabulous shots of that beautiful cake :-). What a beautiful cake! This cake would make a great addition to the holiday dessert table! This ricotta cake looks so delicious!! 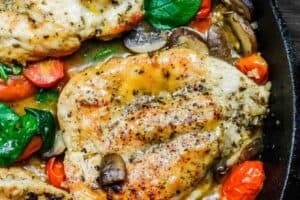 My husband will love this recipe!! He always wanting ricotta cake!! Thanks for the tip about zesting in the sugar!! Great tip! Awesome! I hope you guys give it a try !